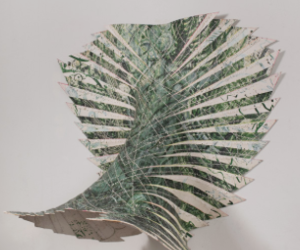 LOS ANGELES — The Craft & Folk Art Museum (CAFAM) presents Paperworks, an exhibition that examines the range of work by fifteen contemporary artists with strong ties to Los Angeles who use paper as their primary medium. 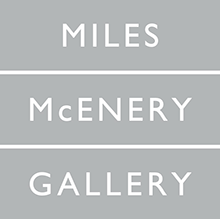 Their art comprises two- dimensional cut-outs and collages; free-standing sculptures; and large-scale installations that engage the architecture of the museum’s gallery space. Many of the works are created newly for this presentation. Paperworks, organized for the Craft & Folk Art Museum by independent curator Howard N. Fox, is on view from September 27, 2015 through January 3, 2016. An illustrated catalogue including texts on each artist will accompany the exhibition. In the digital age, when astronomical quantities of information are transmitted, stored, and manipulated as binary code in “The Cloud,” paper often carries connotations of being obsolescent, environmentally unsound, and antithetical to the green ideal. Yet paper – typically manufactured from a mash of vegetal fibers and chemicals – is among the most versatile and malleable of substances, lending itself to a vast array of manipulations. The contemporary works of the fifteen artists in Paperworks use paper’s inherent qualities to embody their most stirring creative ideas. Among the highlights of the exhibition are Enrique Castrejon’s cut-paper, three- dimensional collages based on electron microscopy images of the HIV (AIDS) virus; Lecia Dole-Recio’s painted paper mosaics that tread an ambiguous boundary between sculpture and collage; Francesca Gabbiani’s colorful cut-paper collages with their highly abstracted images of nature and residential buildings; Soo Kim’s cut-up and re- composed large-scale color photographs of global cityscapes; and Minoru Ohira’s graphite-pigmented expanses of paper so heavily textured as to be relief sculptures. Sculptors using paper as a principal medium include Tm Gratkowski, who partially embeds sheaves of pleated or crumpled paper in cast concrete; Echiko Ohira, whose red- or tea-colored paper constructions evoke biomorphic forms such as bird nests or marine life; Phranc, whose sewn and painted paper constructions of common household objects like a shirt or a child’s sled extend the tradition of Pop Art; Susan Sironi, who un-makes mass-published books into carved-up or meticulously cut up “non-books;” and Tam Van Tran, who staples hand-patterned paper onto molded pressboard to create massive, undulating wall reliefs. Five artists have been commissioned to produce on-site installations for Paperworks. Margaret Griffith will produce an aerial installation of cut-paper forms in the architectural trussing beneath the coved ceiling of the gallery; Lorenzo Hurtado Segovia will suspend thatched paper banners in an arrangement the viewer can enter and navigate; Chris Natrop will deploy cut-paper forms in combination with video projections; Chris Oatey will make a carbon-coated crumpled formation that climbs the wall to become the roof over an emergency corridor; and Rebecca Niederlander’s paper filigree will fill a challengingly odd triangular display niche, overflowing onto and framing the exhibition’s title wall.